Valentines Day is just around the corner so I decided to make the house a bit festive. This is the first holiday that I’ve decorated the windows and I didn’t go crazy. And I CAN go crazy with the decorations. My decorations are just doilies, ribbon and heart garland. 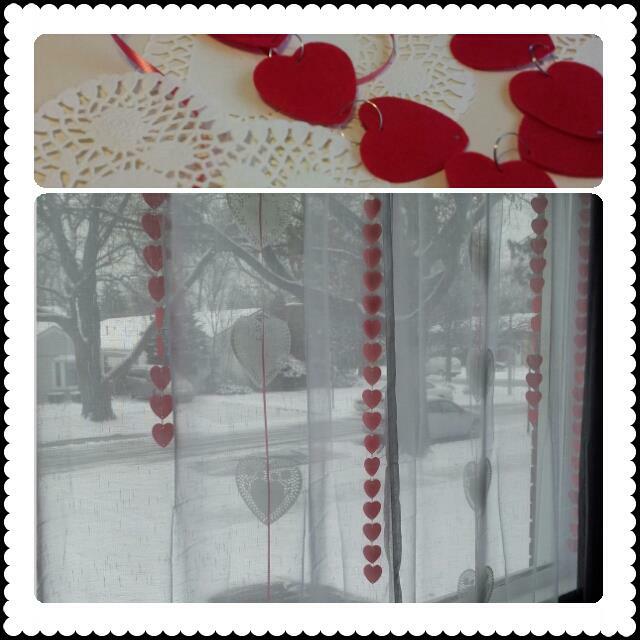 I tied the ribbon to the curtain rod and it looks like its snowing hearts! That’s a better thought than the reality that is outside. I don’t like snow. Continuing the Valentines theme, while browsing Pinterest I found a recipe that caught my attention. 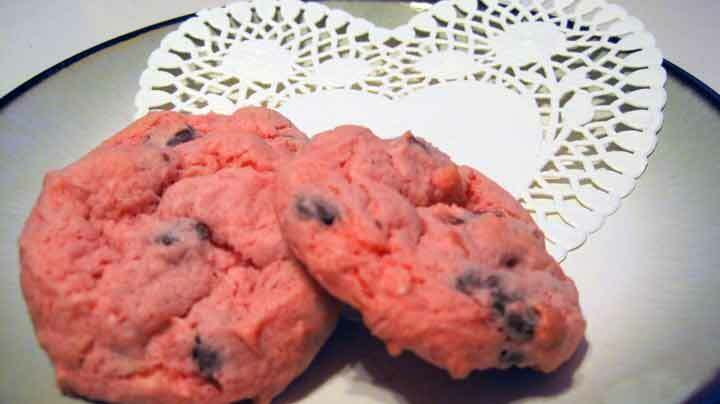 A recipe for pink cookies!! I looked around my kitchen and luckily I had all of the ingredients. So I baked Strawberry Chocolate Chip Cookies. yours look fabulous! So glad you made the cookies. they are one of my favorite cookie recipes! Thanks Sally! Glad I stumbled upon your recipe. They are delicious!